Global Energy Services has established a team of specialists with expertise, customer service and a strong work ethic in the lighting retrofit, water conservation and building envelope industries. GES currently has a team of 130+ serving the East Coast and is continuing to grow at a steady pace. 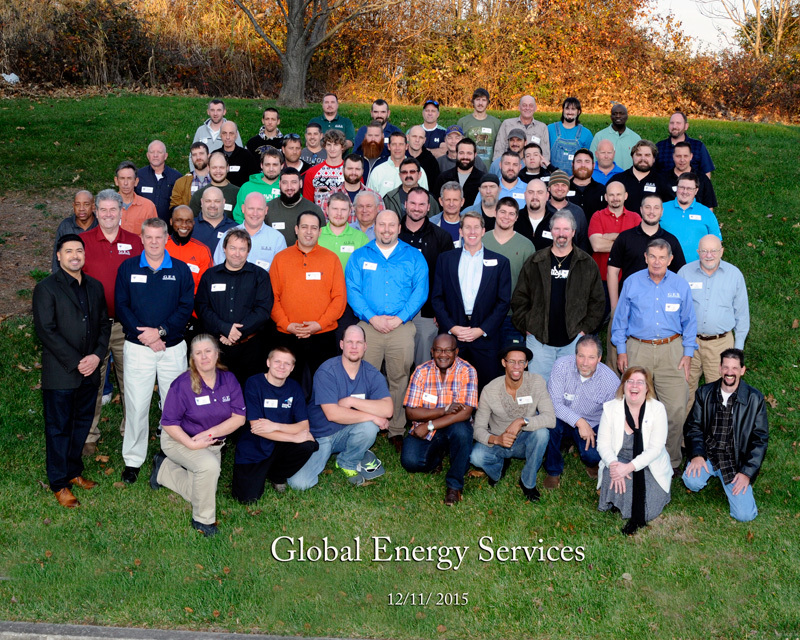 Global Energy Services is a certified Woman-Owned Business Enterprise (WBE). Directing your business to GES may help you meet participation goals on contracts requiring participation of certified WBE vendors. The WBE certification for women-owned businesses is one of the most widely recognized and respected certifications in the nation, accepted by over 700 major corporations as well as a number of federal and government agencies supporting supplier/vendor diversity. Leah is a driving force behind Global Energy Services and currently oversees audits/analysis, project management and purchasing. Leah’s 20 years of management experience provides a foundation of expertise and excellence in GES administrative procedures and field systems, strengthening the company’s customer-centric mission. Leah oversees all operations, business development, financial, administrative, construction and engineering aspects for the lighting solutions team. She is responsible for supervising all of the day to day management and operations efforts for lighting and controls projects. She also is responsible for training all staff members for the team. Leah sets the stage for the team’s quest for excellent service, cutting edge technologies, and the “customer comes first” mission. Leah holds a Bachelor of Science Degree from Ohio Wesleyan University and is currently enrolled in a 4 year electrical program to further her education and obtain a Journeyman's license. Leah is a member of the Association of Energy Engineers (AEE), Baltimore Chapter. She is also an active member in the National Association of Energy Service Companies (NAESCO), the Illuminating Engineering Society (IES) and the National Association of Independent Lighting Distributors (NAILD). She has also completed lighting certification programs in LED technologies for the following manufacturers: Mobern, Keystone, ILP, Sylvania, Acuity, and Lutron. Joe Hart is a highly motivated professional who draws upon leadership experience from his military background, manufacturing / operations background and a demonstrated track record of developing strong performance and continued growth in high performing organizations. The bulk of Joe’s career prior to GES was spent in the Aerospace and Defense (DOD) industries. Joe is driven to succeed with a major strength in working with people at all levels to deliver change-management and continuous improvement results while building individuals, teams and organizations highly focused on the needs of the customer. Joe holds a B.S. degree in Business Management and an A.A. in Business Administration and has attended 3 levels of U.S. Army leadership academies. He served in the Maryland National Guard as a helicopter crew chief and was acting First Sergeant of an Air Cavalry Troop upon his honorable discharge. 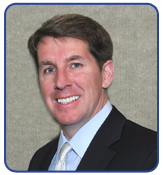 Sean holds a Bachelor of Science degree in Management from Penn State University and has an MBA from Johns Hopkins. He currently oversees sales and marketing. He is a current member of the Association of Energy Engineers (AEE), Baltimore Chapter and the student AEE chapter adviser for the University of Maryland. He is also an active member in the National Association of Energy Service Companies (NAESCO) and the Illuminating Engineering Society (IES). 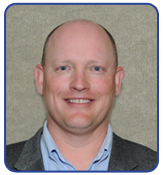 Chris Deslauriers brings over 23 years of experience in the energy field dealing in a variety of aspects including conservation, engineering, and demand side management. Prior to joining GES, Chris spent seven years with a national lighting and water conservation company as a Regional Sales Manager. Prior to that, Chris was a Project Development Engineer for a major energy services company for 10 years specializing in lighting efficiency and water conservation. Additionally, Chris worked for 4 years at an energy services company as an Energy Engineer. Chris holds a Bachelor of Science Degree in Electrical Engineering from Western New England College and an Associate of Science Degree in Electronics Engineering from Central New England College. Chris is a Certified Energy Manager (CEM #4291) and Certified Demand Side Manager (CDSM #341) as recognized by the Association of Energy Engineers (AEE). Chris is also recognized by the Environmental Protection Agency (EPA) as a Surveyor Ally. 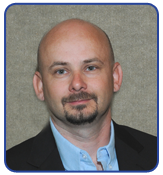 Chris is an active member in the AEE and National Association of Energy Services Companies (NAESCO). Anthony F. Beritela joined GES in May 2017. 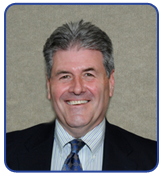 Tony brings 30 plus years’ experience in the Accounting and Financial arena. He brings both Public Accounting and Private sector experience having worked for both National and Regional Accounting firms as well as Fortune 500, Non-Profit and Local companies. He holds various certifications in computer hardware and software, an Associate’s Degree in Accounting, is a Maryland Notary Public and a member of the Association of Certified Fraud Examiners. Patrick has held his journeyman License for over twenty years and has twenty five years of experience in the electrical/lighting industry. Pat has project managed over $100 million in electrical/lighting projects. He currently has over 40 fulltime project managers, project coordinators and installers under his direct management. Patrick is the Vice President of Operations at GES, overseeing all project managers, project coordinators and daily production. 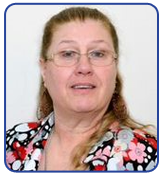 Pat manages all logistics, material and equipment procurement. Pat oversees quality control, M&V, and enforces weekly safety meetings. Other job functions include weekly progress reports, payroll, scheduling, and closeout documents. Customer service is the most important aspect of Pat’s management style and experience. Matt has over 10 years of expertise designing and engineering energy-efficient lighting. He manages our design team of Energy Analysts ensuring that our customers receive accurate designs, light levels and a quality energy-efficient project. He manages most of the detailed construction-grade audits, data logging, lighting/controls designs as well as procurement of material for Global Energy Services. His attention to detail and lighting knowledge allow Global Energy Services to provide the most cost-effective and comprehensive energy-efficient lighting projects for all of our valued customers. Matt has audited, engineered and designed most of the lighting projects for all of the Tier 1 ESCOs. Matt is responsible for overseeing the training of our auditing team and energy analysts on procedures, measurement & verification, new energy-efficient technologies, occupancy data logging and design techniques, within the lighting conservation industry. Roy is a master plumber who has over 20 years’ experience in the plumbing industry. Working for several multi-million dollar plumbing/mechanical companies, Roy was tasked to perform the duties of a Plumber and a Plumbing Supervisor. According to his supervisors, “Roy demonstrated the ability to read, interpret and understand blueprints and install plumbing work. He also demonstrated the ability to lead and supervise other employees. Mr. Marshall was an asset to the company. As an onsite field supervisor Roy’s responsibilities were doing the material takeoff by interpretation and reading of the blueprints, laying out the day’s work of installations while installing plumbing and supervising the other plumbers on site to insure all installations were properly installed and with workmanship up to the industry standard or above." Roy brings these same hard-working qualifications to the Global Energy Services Water Conservation division. His responsibilities are to develop projects, making sure they meet code and the customer’s satisfaction. He acts as an onsite plumbing supervisor on all water projects and is responsible for all aspects of the engineering, installation and M&V. 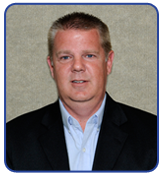 Roy is an active member in the Association of Energy Engineers and holds Master Plumbing Licenses in Virginia and Tennessee. Ken has over 12 years of experience as an Energy Manager in the LED Lighting sector. He has a Bachelor of Arts Degree in Communications from York College and an Associates Degree In Occupancy Control Engineering. He has worked primarily in the Property Management/ Owners sector helping customers reduce energy usage through Regional and National Programs. Ken has worked every aspect of the job, which includes selling the job, procurement of material, project management and close out. He has also teamed up with multiple national organizations and assisted Owners/Property managers across the United States obtain utility rebates. 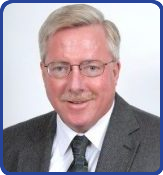 Ken also been involved as a member of the Association of Energy Engineers (AEE), Baltimore Chapter. 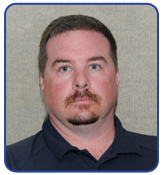 Frank Buchanan joined the GES team in October 2012 bringing over 15 years of experience in all aspects of the Electrical, Program Management and Operations fields. 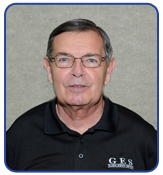 Prior to joining GES, Frank spent 4 years in Electrical Engineering and 8 years as an Operation Manager in the Defense and Aerospace Industry. Additionally, Frank served 4 years in the United States Navy as an Aviation Electrician. 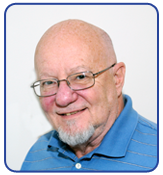 Frank holds Degree’s in Information Technology and Electronics and is a member of the Association of Energy Engineers (AEE), Baltimore Chapter. Frank is also an active member of the National Association of Energy Service Companies (NAESCO) and the Illuminating Engineering Society (IES). Prior to joining the GES team in September of 2016, Eric graduated from Millersville University with a BS in Speech Communications. During his time at Millersville, Eric played on the club ice hockey team, where he served as club president and safety officer. 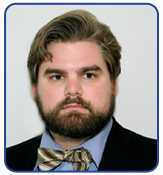 He currently volunteers as the head recruiter for the hockey program as an alumnus. Eric joined GES as a recent college graduate, having just completed an internship with Adams Electric Cooperative as a Communications Project Assistant. While at Adams Electric, Eric wrote several articles which were published in the local Penn Lines magazine regarding renewable energy, energy conservation, safety, and reliability. He also designed ads and produced informational videos for co-op members. Eric began his GES career in our Lighting division but soon after became a vital member of the Building Envelope team. 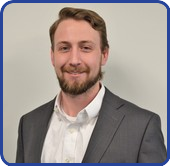 As an Energy Analyst and Auditor for the Building Envelope division, Eric’s job duties include performing on-site energy audits, engineering projects, and procuring material. 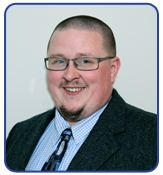 Eric is currently studying to become double certified as a Building Analyst and Envelope Professional through the Building Performance Institute (BPI). Joel has three years of estimating and lighting retrofitting experience. He is responsible for commercial lighting audits and estimations as well as material procurement. His knowledge of the industry has allowed him to build strong vendor and client relationships, ensuring that estimates are both prompt and accurate. Joel is an active member of the Association of Energy Engineers (AEE), Baltimore Chapter, National Association of Energy Service Companies (NAESCO) and the Illuminating Engineering Society (IES). 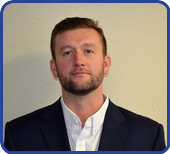 Matthew Fenske joined the GES team in early 2016 with over 5 years of experience in the Sales, Marketing and Technology fields. Prior to joining GES, Matthew spent about 2 years at AT&T in the ever changing world of technology, which helped him to learn how to adapt quickly to changes and how to implement new ideas. Matthew graduated from York College of Pennsylvania in 2012 with a Bachelor of Science Degree in Marketing and a Minor in Marketing Management. 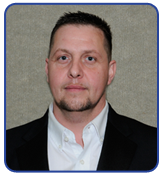 He enjoys learning and is very eager to understand all aspects of the Energy Savings Industry. Troy brings over 12 years of experience in the building and construction industry in commercial, industrial and residential markets. Prior to joining Global Energy Services, he oversaw the operations for his family’s construction company where he learned the value of excellent customer service, team work, and effectively completing high quality projects in a timely manner. He started as a technician at GES and worked his way through the business. Highly motivated to succeed, he wanted to have a full understanding of the job and industry before managing projects. He managed many successful projects for both the lighting and building envelope divisions. Troy manages the day to day operations for the building envelope division where he directs quality control, logistics, progress reports, weekly safety meetings, scheduling and job closeouts. His attention to detail and experience insures that every project is completed on time with the highest level of quality. Troy holds both a Bachelor of Science Degree in Business Management and an Associate of Science Degree in Business Administration from The Pennsylvania State University. Dave has been with GES since 2009, with 35 years’ experience in all aspects of the electrical trade specializing in lighting design, installation, M&V and auditing. He holds Master Electrician licenses in ten states currently with plans to expand into other states. Dave constantly attends continuing education classes in order to keep up with changing code requirements; holds a Bachelor’s Degree of Lighting from Lightolier, and has attended training in all major lighting, lamp and control factories. He is a member of AEE, the Electric League of Maryland, Harford County, Baltimore County and the Independent Electrical Contractors Association. Stephen has had a diverse background before joining Global Energy Services; working most recently as a Special Education Teacher and Mobile Therapist. He also has worked with USAID doing international development work in Skopje, Macedonia; North Carolina Outward Bound, and with the York County District Attorney’s office. He earned a Bachelor’s Degree in Philosophy at Colorado State University as well as a Master’s equivalency and Special Education and Elementary Education Teachers Certifications in the state of Pennsylvania from Immaculata University. 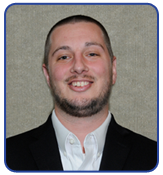 Stephen Althaus is an Energy Auditor and Analyst. He audits and designs projects for both the lighting efficiency and water conservation divisions. John (Jack) Doyle is spearheading the New Business Development of GES’s recently established Water Conservation division. Jack has been involved with water conservation for over 15 years, first in opening the Waterless Urinal Company's entry into the Mid-Atlantic states and eventually covering all US Federal agencies and Department of State Embassies around the world. He then was brought on as Regional Sales Manager for National Water Services, a full service water management company. His professional career began as officer in the US Marine Corps serving three years active duty with 13 months in Vietnam as a platoon commander, co. executive officer and Aide-de-Camp. Prior to entering the water and energy conservation field, Jack spent 20+ years in Toro Company distribution from NY to MD with $25,000,000 in sales in the last company he managed. Jack holds a BA in Business Administration from Penn State University for which he lettered three years on the varsity golf team competing in the NCAA Championships each year. With more than 10 years of experience in the lighting retrofit performance contract industry, Bryan works closely with the Project Coordinators to ensure that projects are completed on time and under budget with a high standard of safety and quality that is unmatched in the industry. Bryan plays a key role from project startup to closeout. He is responsible for site safety, product procurement, scheduling, providing weekly updates, as well as project closeout documentation and recycling. Zane has been in the commercial glass and glazing business for over 35 years. He has provided outstanding leadership performance and has managed single sales cycles with success by targeting, soliciting and winning accounts. He has a thorough knowledge of all aspects of the estimating and project management business including reading blueprints, GDS estimating software skills, shop drawings with AutoCAD, and Microsoft Office. Zane has been on site with developers, general contractors, superintendents and architects. He has a strong background in energy-efficient storefronts, curtain wall systems, interior glass wall and door systems and energy efficient Low-E insulated glass products. 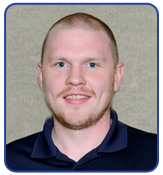 Zane has worked with building materials and has been active with onsite and office duties for most of his career. Brian joined with GES in 2014, with multiple years of operational and sales experience from more than eight years in retail operations/management, as well as project management and design in the commercial sign industry. In his first year at GES, Brian spent his time training to perform detailed construction-grade audits, as well as using his managerial/operations skills to help streamline the audit and design process for the GES Water Conservation division. 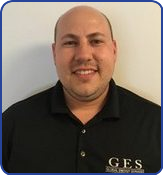 Patrick is new to GES but brings over five years’ experience in the service industry and management. 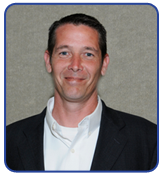 He has an extensive project management background and has added construction-grade energy audits to his skills. He has a grounding in sociology focusing in criminology. While in college he was an NCAA athlete and a member of the student athlete advisory committee. Nora Dickerhoof joined the Global Energy Services team in April 2015. Prior to joining GES, Nora worked for 12 years in the retrofitting arena. Nora has excellent data entry and organization skills. She is proficient in MS Office and has an eager attitude to advance. Nora has worked in the administrative field, been a supervisor for a chain pharmacy store and a membership coordinator for an international engineering society. 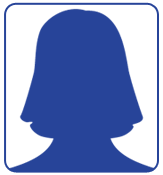 Nora’s eager attitude to advance along with her background is an asset to the company. A graduate of Millersville University, Millersville, PA, Jan earned a BS in education. He joined GES in October 2014 as assistant to the Financial Analyst. 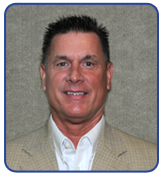 He has thirty one years of experience in finance, including accounting and credit fraud and loss prevention. In his prior management positions, he was involved in training and systems testing.